Looking for last minute Easter fillers for their baskets? Look no further – RADZ has you covered! 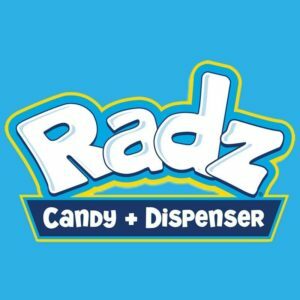 These Radz and Foamz Easter themed candy dispensers are super fun and affordable! Hide them around the house for a hunt Sunday morning, or group them with other goodies in your baskets. You can even use the dispensers as fun décor for around the house! Each dispenser comes with a 0.7 oz pack of yummy Easter themed candy featuring Bunny Berry Blast, Eggcelent Fruit Jumble, Hoppin’ Bubble Gum and Tropical Spring Time flavors, and a coloring poster! The Foamz dispensers can even double as finger puppets so you can add to the Easter festivities by entertaining your family with an amusing show. 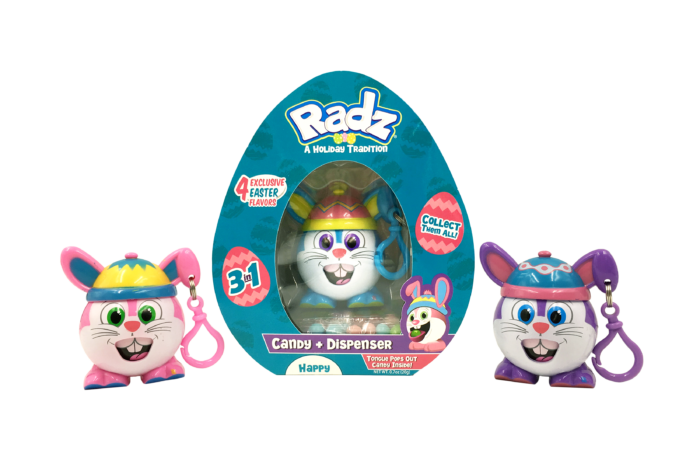 Radz Easter collection is available in two colorful bunnies April & Pepper! 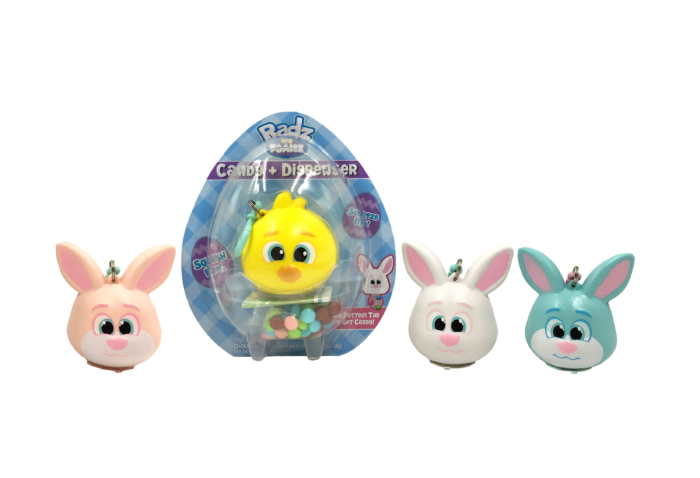 The EGGciting squishable Easter dispensers are available in three hoppy bunnies – Cookie, Clover, and Cooper and a chick name Conner! Better hop on over to your local HEB, Hobby Lobby, Brookshire Brothers, Affiliated or Hy-Vee and pick up some Easter themed Radz and Foamz candy dispensers before they’re all gone! Stay connected socially with Radz for their latest product and sales information. These are awesome! I’d definitely get these if I had kids to give Easter baskets to. These are so adorable . These are so adorable and perfect for the Easter Basket! I am going to pick a few up as I am always looking for options for the Easter Basket other than candy. I love this idea. These are so cute! 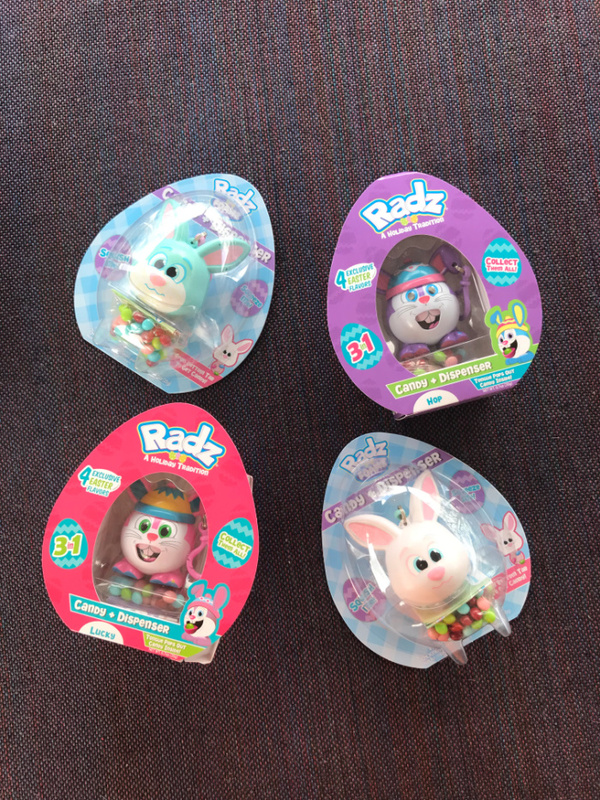 We love collecting Radz! These would be great for an Easter Egg Hunt!